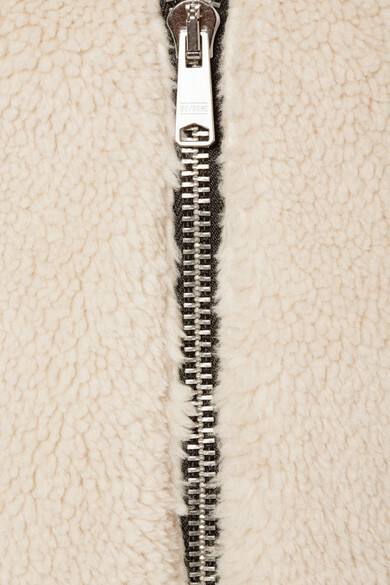 RE/DONE's plush jacket is made from faux fur for an incredibly cozy feel. 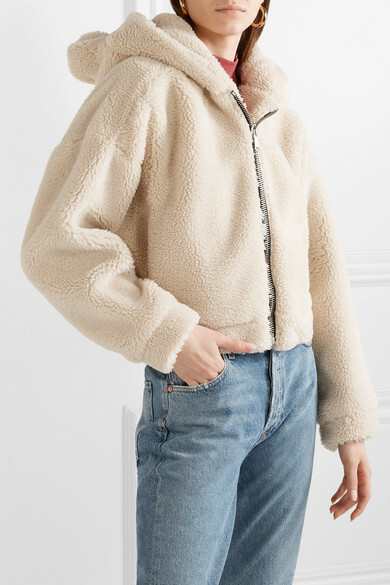 This piece is cropped to hit at the hips and has a generous relaxed fit that's perfect for layering over chunky sweaters. 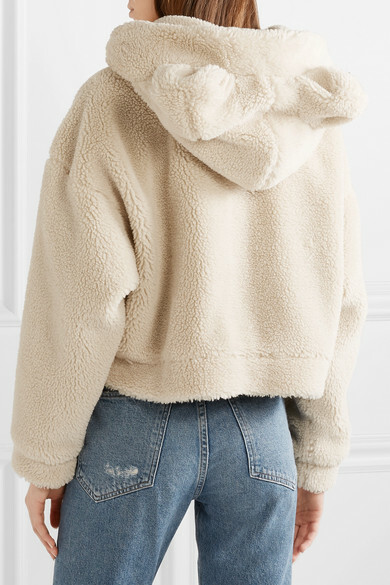 Slip the hood up to show off the playful animal ears and keep your head warm on chilly days. 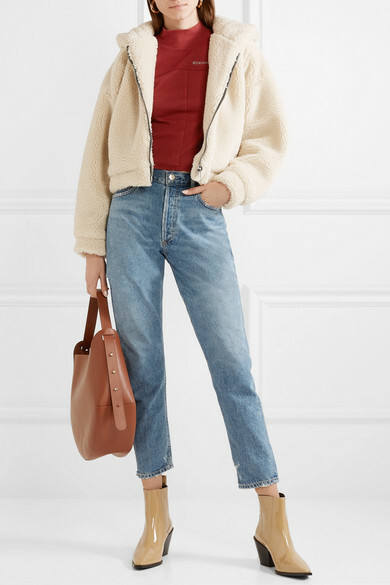 Shown here with: Eckhaus Latta Top, AGOLDE Jeans, Wandler Tote, aeydē Ankle boots, Laura Lombardi Earrings.